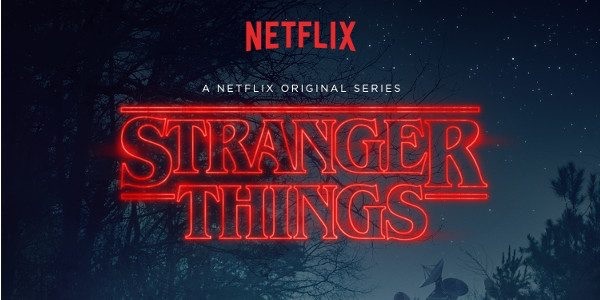 I put this spanking brand new Netflix Original series in my Watch List as soon as I watched the two trailers early last week, and I think they were only released last month. I mean, they had me at Winona Ryder, but the trailer seemed to promise something creepily scary. Horror, but of the more subtle variety. That promise seemed to harken back to things like the Outer Limits and The Twilight Zone but with an over-arching show length story arc, with a strong Dean Koontz or Stephen King science fiction/horror feel, and yet also a kind of Steven Spielberg glow or ambience. Or at least a sparkle. Also has a whiff of shows like the X-Files, or Eerie, Indiana (maybe more of the latter). As soon as it dropped, the entire series was in my queue and I just watched the cold opening of episode 1, until the opening theme finished. And a great theme it is too. It also harkens back to themes of yesteryear, but more like 70's through 80's electronica - think Tangerine Dream or Jean Michel Jarre. Which is appropriate, because the show is a "period piece", set in the 1980's. And I think it's the early 80's. We see someone use a dial phone! And something about that just feels so long ago and far away now. And so far, it is keeping the promise of the trailers. I'm going back to watch more of this first episode, which has been calling to me since the entire first season dropped on Friday.